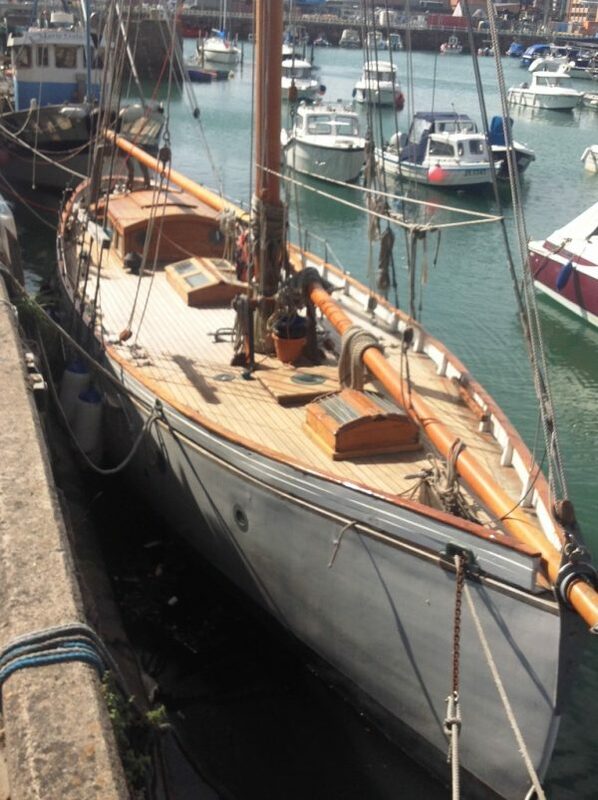 BOOJUM, built in 1909 by W E Thomas of Falmouth follows distinct West Country lines of a yacht of that period with Quay Punt influences. Named after Lewis Carroll’s fictitious character in Hunting of the Snark. T W Bonnett of Basildon House, London was one of Boojum’s early owners followed in 1930 by J D MacGregor of Golder’s Green. 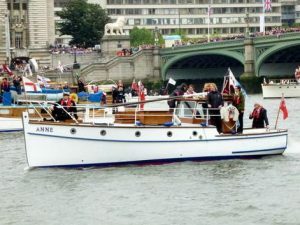 H M Pinney of Hornchurch, Essex became the next registered owner keeping the vessel until 1955 when both B Farquharson and A Thompson of Devonshire Close, London took over ownership. In 1960 Boojum was sold to J K Hill of Hale, Cheshire. 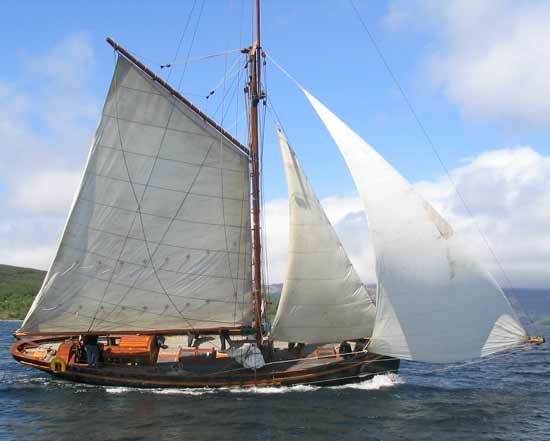 Under Scottish ownership, Boojum was moved up to the West Coast before returning to the South Coast in 2012. 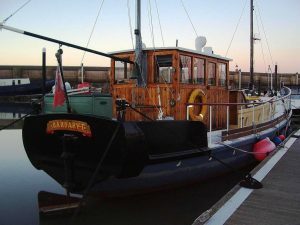 In the present ownership, in 2013 a considerable amount of re-fit work was professionally commissioned in Bristol which included a completely new deck and rig. New bronze keel bolts 2008, last drawn 3 years ago. Carvel pitch-pine on oak hull, new traditionally laid douglas fir deck payed with Jeffreys glue. 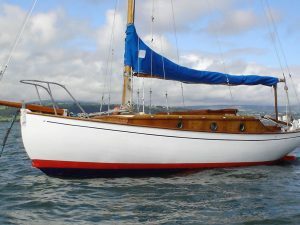 Varnished teak companionway, skylight, deck hatches, cockpit and bulwark cappings. New keel stepped douglas fir mast, new topmast and new boom, all finished with nine coats of varnish. Original gaff. New served galvanised standing rigging. New bottle screws and shackles. Set of sails, main requires replacement. Traditional doghouse replaced April 2018. Period or original bronze deck hardware. 75hp Beta diesel engine, four-cylinder, low hours, 12-volt electrics replaced. New engine casing. 55-litres stainless steel freshwater tank. Traditional interior, with much original and more recent teak joinery. New douglas fir cabin sole boards. Double cabin forward, new marine heads to starboard, wash basin to port. Twin berth cabin starboard and galley to port. Saloon with for settee berths and seating. Chart area to starboard and berth to port. Anchor windlass, two Fisherman type anchors, three pumps, compass.